Posted on Monday, April 15th, 2019 at 9:22 am	You can skip to the end and leave a response. Pinging is currently not allowed. You will often hear that healthcare is expensive in the USA, and until you actually experience it, it may be hard for you to really understand how expensive it can actually be. One aspect of this is prescription medications, and in this blog post we are going to focus on this and how you can obtain free or low-priced versions. 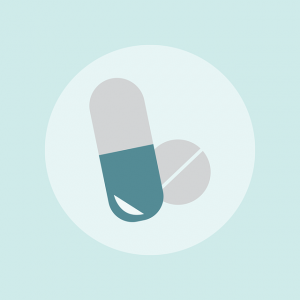 What is a Prescription Medication? You may not be familiar with this term, but we are pretty sure you will all have taken prescription medications at some point in your life. Prescription medications are any drugs that your doctor recommends you should take. If you are sick or injured, your doctor will give you a special document (the prescription) that you will need to hand over to a pharmacy so they can provide you with the medications. These medications are usually only available with a prescription from a doctor, they cannot be purchased or taken without one. You should not confuse a prescription medication with an over-the-counter medication. The difference between the two is that an over-the-counter medication is one that can be purchased without the need for a prescription from a doctor. In many cases your insurance plan will not cover the cost of an over the counter medication, but only for specifically prescribed medications, so it’s important to know the distinction. Insurance plans vary in what they will cover, and this is also true when it comes to prescription medication coverage. Some plans will only cover certain drugs, others will cover all drugs but only a fixed percentage, some plans will cover all inpatient drugs but only a portion of outpatient drugs, so you will need to review your insurance coverage to find out what your plan specifically covers. For nearly all international insurance plans, the way you get reimbursed for your prescribed medications is usually always the same. Some plans may have a special drug card, but this it not that common, so that means you will have to pay for all your medications upfront and then submit your receipts with a claim form to be reimbursed. Oftentimes some drugs can be hundreds of dollars (depending on the drug) so this can be a hard pill to swallow! The good news is that there are some good free or discounts drug options that are available to students. It could be dependent on your location in the USA, but with a little bit of research (and our handy blog post here) you might be able to save yourself some money! ShopRite – this grocery store chain, that has in-house pharmacies, offers a free diabetes medication program. You can learn more about this on their website. Publix – another grocery store chain, that also has in-house pharmacies, offers a free medication program for selected medications as long as they are prescribed by your doctor. They also have a discounted list of drugs that will only cost you $7.50. Walmart – everybody knows Walmart and they have locations all over the USA. Take your prescription to their pharmacy, and as long as its generic form of the drug, it will only cost you $4! PriceChopper – another grocery store in the USA that offers free diabetes medication and discounted generic drugs that starts from just $3.99! The other way to get discounted prescription drugs is through a discount drug card, which are becoming more popular in many international student insurance plans. These drug cards work by giving you a discount on popular medications, and while they are not a direct insurance benefit, they do give you instant savings. To use your discount drug card, you will just need to show the card to the pharmacy and they will automatically apply the discount. You might need to register your card beforehand and the cards are oftentimes only accepted at certain pharmacies, so be sure to check ahead of time. While the idea might sound nice, and you could be lured into great savings and discounts, we typically do not recommend that you use online pharmacies to fill your prescriptions. There has been a sharp rise in online, fake pharmacies that have scammed customers out of their money or provided the incorrect medications. With all the options listed here in the blog post, you should hopefully have a few options to lower your prescription medication costs. Hopefully this has provided you with all the details you need about pharmacies, prescription drugs and how to get cheap or low-cost drugs! Please contact us if you have any questions, or would like to know how our plans work with prescription drugs.